Several weeks ago we reported that an economic and military alliance between Russia and Turkey was developing rapidly. Part of the evidence was an agreement to build a major pipeline from Russia to Turkey, which would deliver natural gas to the rest of Europe. 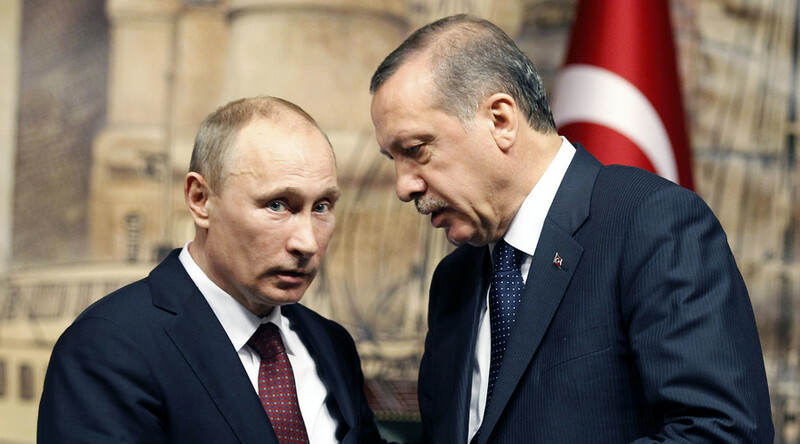 Some speculated that the agreement would never come to fruition, but that speculation has now proven false - it is just now being reported that Erdogan and Putin have just formally signed the agreement. DEVELOPING: The leaders of Turkey and Russia have overseen the signing of a deal to build a gas pipeline from Russia, a project that was suspended amid tensions between the two countries. Russian President Vladimir Putin and Turkish President Recep Tayyip Erdogan watched as their countries' energy ministers sealed the "Turkish Stream" project that would bring gas from Russia to Turkey. It would then be distributed to European Union nations. The Russian and Turkish leaders have agreed to intensify military and intelligence contacts after a meeting in Istanbul. President Vladimir Putin also said he and Recep Tayyip Erdogan had agreed on the need for aid to get to the northern Syrian city of Aleppo. The two countries have signed a deal to construct two pipelines to send Russian gas under the Black Sea to Turkey.